Sonja Althausen studied general chemistry at the University of Cologne, graduating in 1997 and receiving a PhD in biochemistry there in 2001. Dr. Althausen then first worked as a research associate at the Max-Planck Institute for Neurological Research in Cologne. Sonja Althausen passed the German patent bar examination and has been admitted as a representative before the European Union Intellectual Property Office (EUIPO) since 2005. She has been on the list of professional representatives before the European Patent Office since 2006. Dr. Althausen has been a partner at the law firm of Michalski Hüttermann & Partner since 2008. Her main areas of IP practice include managing property rights and drawing up opinions on patent infringement and validity issues. Dr. Althausen has special expertise in the technical areas of pharmaceutical chemistry, pharmacology, biochemistry and electrochemistry, notably in battery technology as well as in the field of supplementary protection certificates (SPCs) for pharmaceuticals. Sonja also has a great deal of experience in managing major brand portfolios. "The variety and diverse nature of the legal and technical issues that come across my desk is something that I like best about my job." Sonja Althausen is a member of the Association of Intellectual Property Experts (VPP). 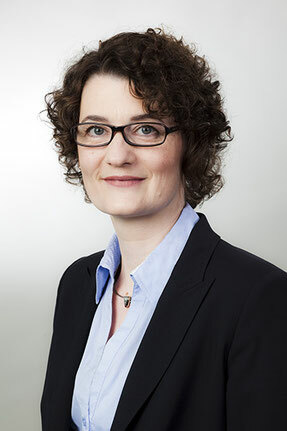 Dr. Sonja Althausen was born in Bonn, Germany in 1971 and now lives in Düsseldorf. She speaks German and English fluently as well as reasonable French. Outside of the office, she likes going to the theater and the opera.